At the end of the 10-day PD Brett Moulding so graciously agreed to a quick interview before having to catch his flight. Below you’ll find the 4 questions I asked him and his responses. Teaching Elements (TE): Why should teachers incorporate 3-dimensional learning into their science classrooms? Brett Moulding: Science education centers on engaging students in a deeper understanding of science and incorporates the abilities they will need to make sense of phenomena. Teaching should engage students in performing science, not just watching and listening to the teacher. TE: Bringing up phenomena, for teachers that do not know, what is that and why would they want to use it? Moulding: Phenomena are observations we make about the world around us using our senses. Science is about making sense of these phenomena and is the most authentic way to get students thinking about science. TE: The Framework described in your book can initially be overwhelming to teachers, where would you suggest a teacher should start? 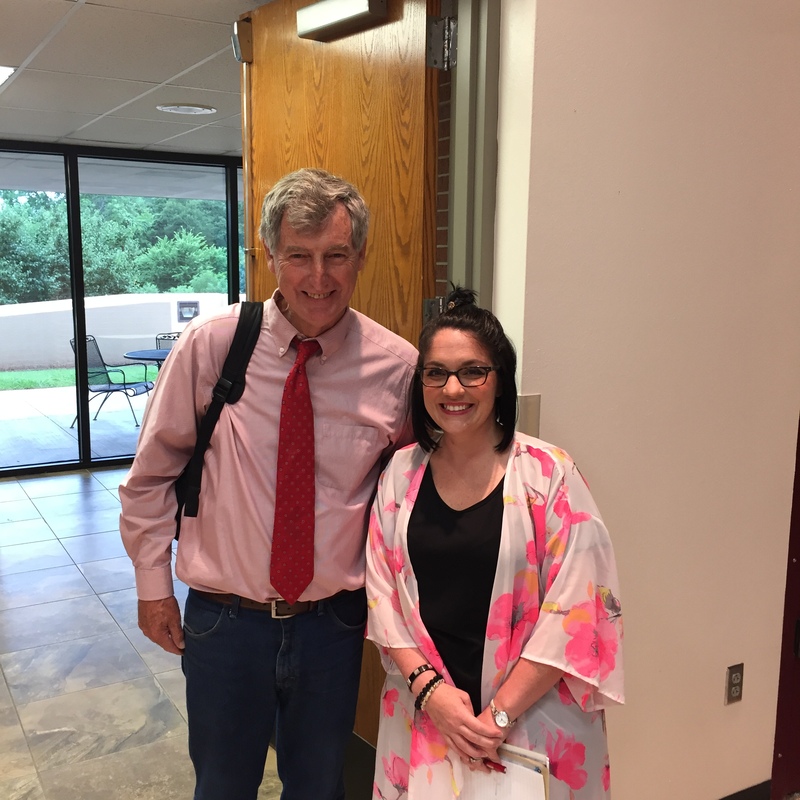 Moulding: Teachers should begin organizing their instruction around the 3-demensions: crosscutting concepts, disciplinary core ideas, and science and engineering practices. By doing this they can fuse their current practices with the 3-dimensions and ease into implementation. TE: You’ve been in education for many years, including teaching in the classroom for 20 years. What’s your favorite part of teaching? Moulding: Oh that’s easy, the students. They are always the best part. Moulding suggested that teachers should start organizing their instruction around the 3-dimensions, so what are they? Below you’ll find a basic outline of the 3 Dimensions found in the Oklahoma Academic Standards for Science. 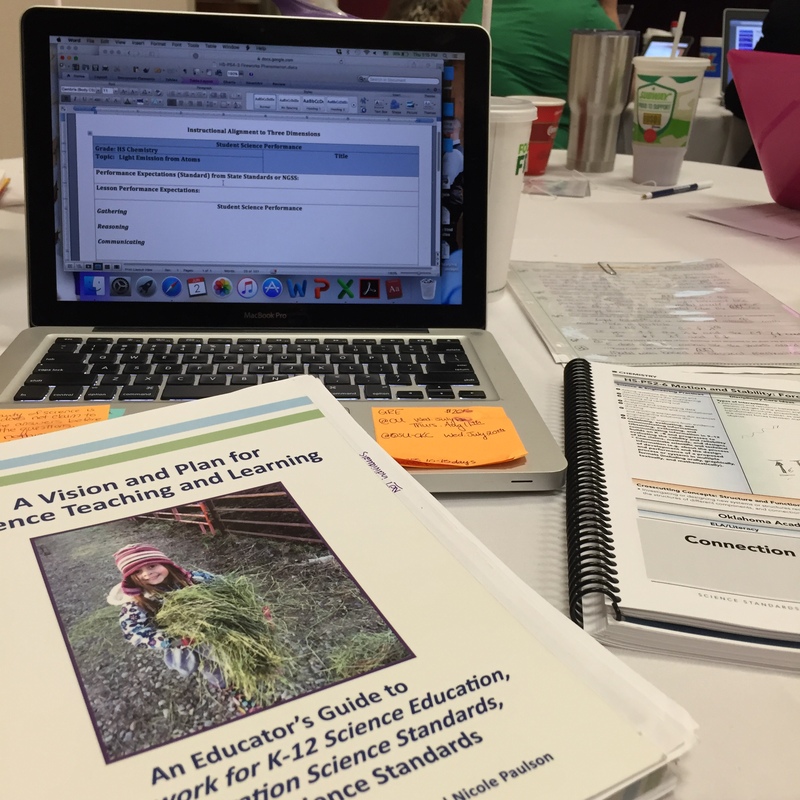 Interested in a book study for “A Vision and Plan for Science Teaching and Learning”? The #OKSci Facebook group will begin one on June 27th! There will be questions posted to the group to encourage collaboration and even if you’re not from Oklahoma you’re more than welcome to join us! A link to purchasing the book from the publisher can be found with my review of the book. You can purchase the book from Amazon as well but it’s nearly double the cost if you do that. Also check out these PD on Your Plan Modules! I’ve done them and they are a fantastic resource for helping with implementing the new science standards and incorporating 3D learning!